I think the idea of transplanting the Total War mechanics into Games Workshop’s Warhammer Fantasy universe has been around almost exactly as long as Total War itself has. 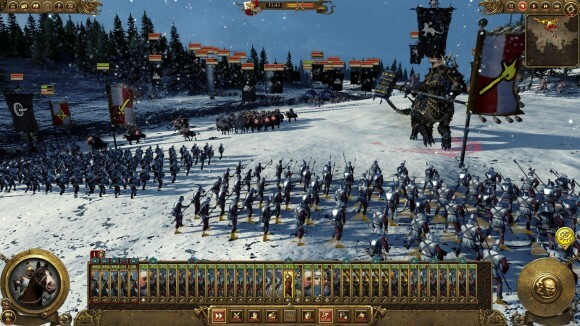 And for good reason since the tabletop version of Warhammer involves models grouped into units precisely as Total War’s are, and also has most of the same core mechanics like unit type counters, flank attacks and morale; it seems like it’s practically a 1:1 fit that would be very hard to screw up. What a lot of people forget, though, is that it’s been tried before, and the main reason nobody really remembers Mark of Chaos (apart from the perfect intro) is because it wasn’t very good. It is possible to do Warhammer with Total War-esque mechanics and fail, so the Creative Assembly’s job is doubly difficult: not only do they have to get the gameplay right, but they also have to redeem themselves after the fuckup of Rome 2 by releasing it in a state that’s playable at launch. 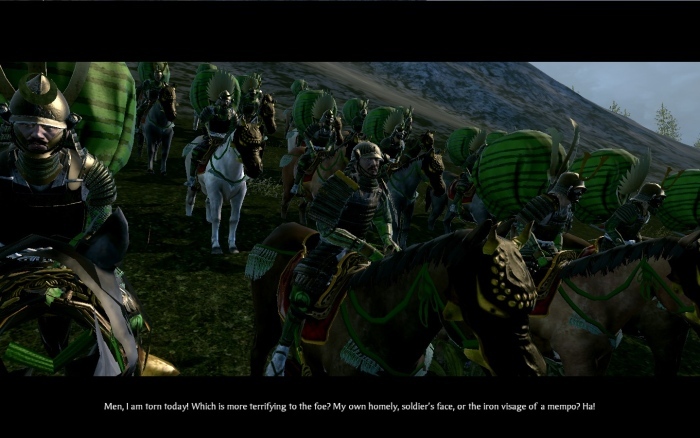 After 25 hours with Total War: Warhammer, I am pleased to report they’ve succeeded on both counts. Mostly, anyway. There’s a man sitting on a mountaintop just to the north of Pulpudeva. His name is Commios, and he’s one of the last dozen survivors of the Getae tribe. The war that destroyed his homeland was bloody and violent. Thousands died as the relentless march of the Athenian hoplites brought them closer and closer to the Getae capital, the near-limitless hordes of Thracian warriors charging heedlessly forward only to be threshed like so much wheat by the bristling spears of the impenetrable Greek phalanx. The three Getae cities were besieged and occupied; battle captives were either executed or pressed into slavery; and the encamped army brought plague with them that added to the death toll. It was a war of extermination in all but name, and what survivors remained were all too happy to accept the yoke of Athens knowing the alternative. That is, all except for Commios and his friends, who fled the destruction of Malva to his remote and forbidding mountaintop where he could gaze down at what had once been the prize jewel of the Getae nation. Early spring, 1865: First battle of Buzen. In which I specifically title the post “Saturday Soundtracks” and then absent-mindedly end up scheduling it on Sunday anyway: Viking Invasion. Turns out there's more to managing an empire than just spamming markets everywhere. Who knew? Okay, I admit it. I may have been a little too hard on Shogun 2. 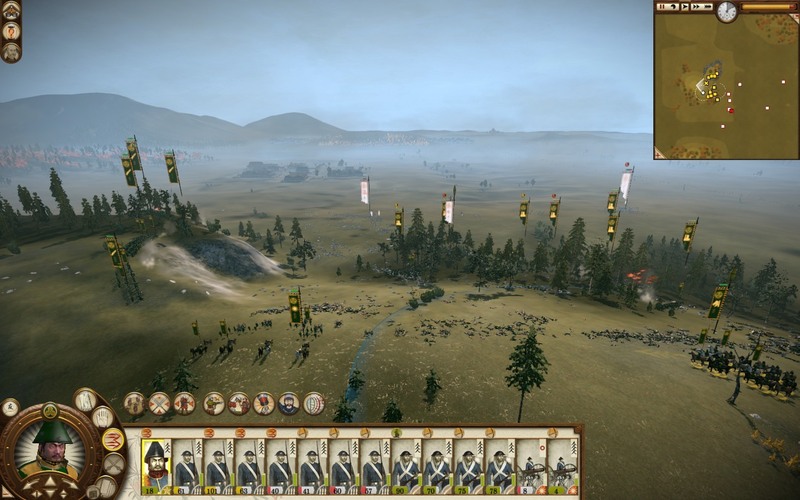 The more I play Shogun 2, the more I’m starting to think Total War games have a fundamental mechanical flaw. 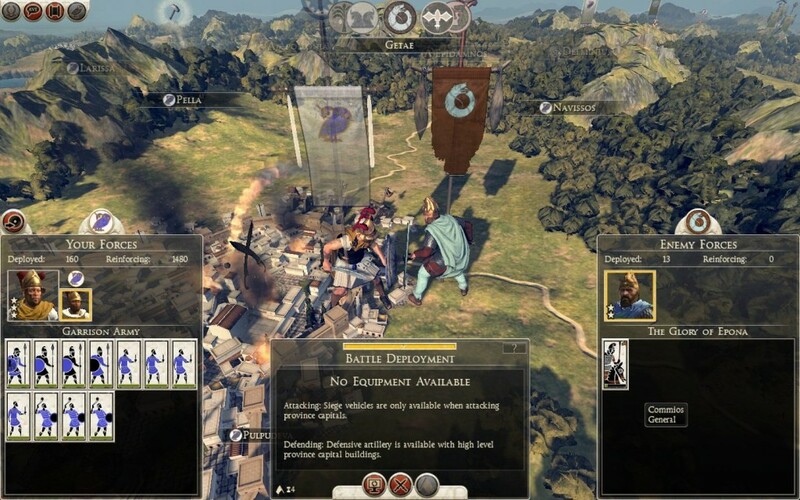 Yes, yes, we’ve all seen the botched attempts of the Rome-Medieval-Empire era – schizophrenic AI combined with a more fluid, realistic campaign map which in practice led to some infuriating gameplay tics – but with each of those games, the problem appeared to be specific to the game in question. Usually it was the CA’s crappy AI coding. In Empire’s case it was also a case of sprawling scope and the series first flirtation with the gunpowder era producing – aha – a serious misfire. 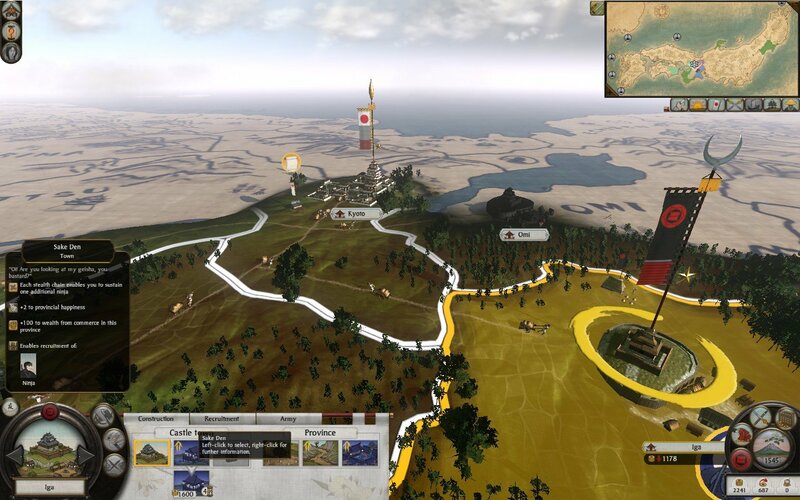 But Shogun 2 is the first game to make me think that Total War games, in their current form, simply will not work.